COMING SOON: ALOE CBD GEL! This is a water-based anti-inflammatory and pain-relieving rub comprised of Aloe Vera, CBD extract, and skin-nourishing Lemon Verbena. differences that make Body Balm an essential product in any medicine cabinet.  Great for use under clothing- no chance of oil stains. contain the exact same amount of pain-relieving product in every jar. richer Rubbit salve performs best overnight with many hours to soak in and condition skin. arthritic joints, or an inflamed knee. Simply massage it into the affected area until full absorbed. Allow 10-15 minutes for effects before additional applications. in a cool dry place, out of direct sunlight. 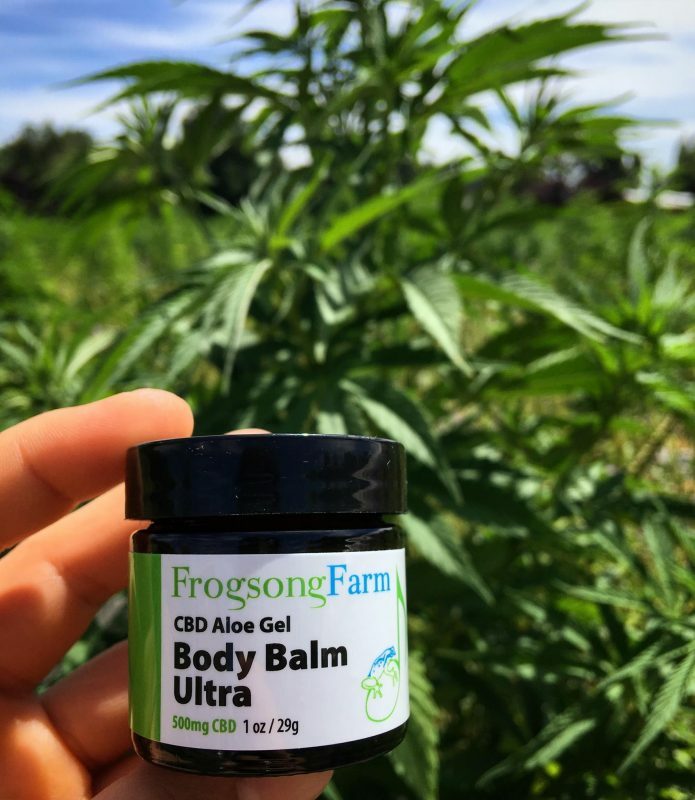 Body Balm stores best beside a jar of Rubbit salve and a bottle of Drops CBD oil! Stay tuned for launch date… just a few weeks to go.. 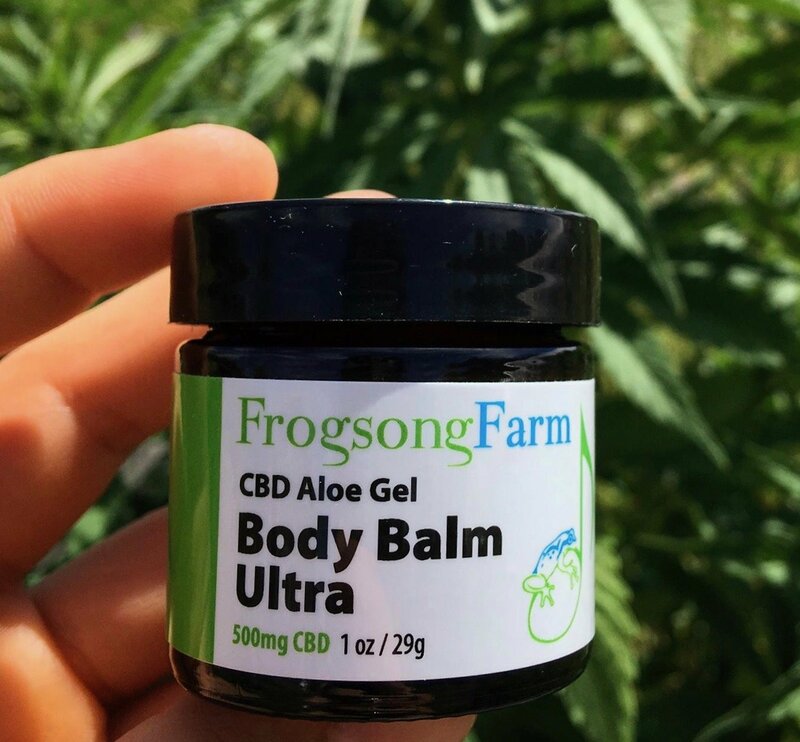 This entry was posted in Education, Products and tagged aloe cbd, arthritis, arthritis cbd, athlete cbd, back pain, bursitis, cbd, cbd for pain, cbd gel, cbd topicals, cbe aloe, frogsong farm, fsf products, hemp cbd, hemp derived, hemp oil, joint, joint pain, new products, running, scoliosis, yoga. Apprеciate the recommendation. Will try it out.